The holiday parties are almost in full swing, HOORAY! Entertaining guests is my favorite. 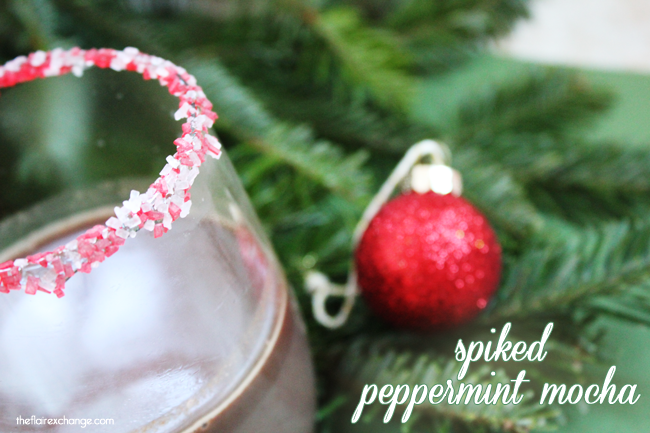 Introducing the Spiked Peppermint Mocha! While it isn’t quite winter temperature here in FL, I’d like to pretend it is. I mean, it is Christmas season. In efforts to help myself and yourself get in the holiday spirit, I’ve concocted a spiked peppermint mocha. It is delish! A Peppermint Mocha is my absolute choice at Starbucks, so why not bring it home in a party friendly version. If you’ve ever wanted to serve a hot toddy at a party but wasn’t sure where to start, try this. This chocolaty coffee beverage is sure to wow guests. On low heat; in a 2 quart saucepan whisk milk, chocolate chips and corn syrup. Continue whisking until mixture is homogenous. Add brewed coffee to milk and chocolate mixture. Remove from heat and add Peppermint Schnapps. 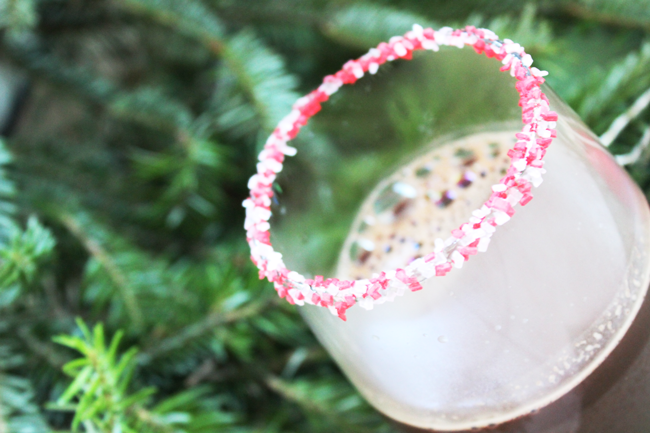 Garnish glassware by twisting glass rims in corn syrup and then peppermint sprinkles. 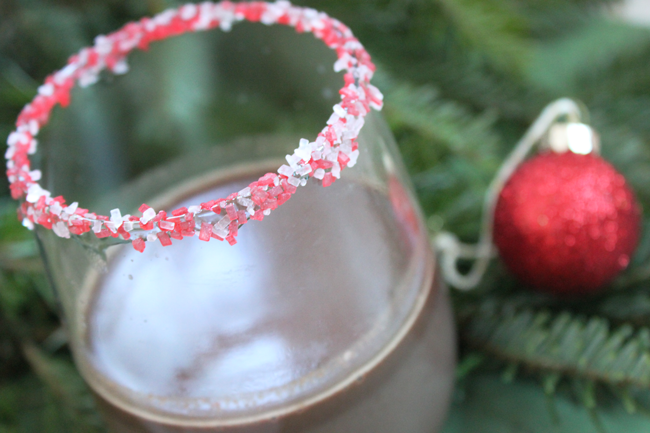 Pour Spiked Peppermint Mocha into glasses. 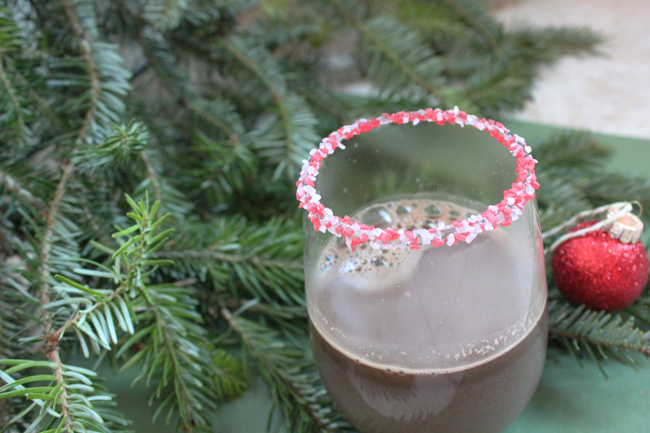 The post Spiked Peppermint Mocha – Recipe appeared first on The Flair Exchange®.